Germany. Radiant Munich. NA presents the city’s rise culturally during the reign of Louis I of Bavaria. To commemorate World Philosophy Day. Germany. Staging at NA Munich of a work by popular Munich author Karl Valentin, to commemorate World Philosophy Day. Germany. Johannes Kepler, Pioneer of the Modern Era. 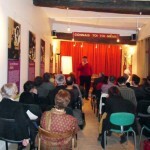 Lecture by Professor Evgeny Spodarev at NA Stuttgart during a series of lectures for World Philosophy Day. United Kingdom. World Philosophy Day. Program of activities prepared by NA United Kingdom. Belgium. Lecture on the political works of Plato and their relevance to modern society, given at the NA center by Professor Decharneux of the Free University of Brussels. Belgium. Post-Capitalist Ethics: Toward an Existential Militancy.Presentation at NA Brussels of the work of Professor Arnsperger of the Catholic University of Louvain-la-Neuve. Spain. 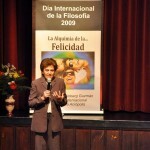 For World Philosophy Day, NA’s International Director, Delia Steinberg Guzmán, gives a lecture entitled “The Alchemy of Happiness” at NA Madrid. France. What Future After the Crisis? A Philosophical Vision. 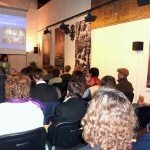 Lecture at NA Rouen (France). Switzerland. World Philosophy Day. 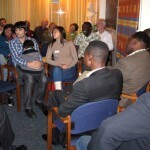 Event on traditional African wisdom organized at NA Lausanne. Argentina South. 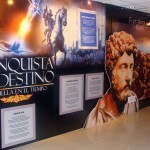 NA Buenos Aires holds a “Discovering Philosophy” exhibit for World Philosophy Day. Bolivia. The Apology of Socrates. 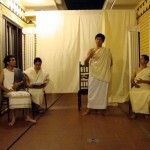 Theater performance by NA Bolivia for World Philosophy Day, in collaboration with the La Paz Public Library and Santa Cruz municipal authorities. Chile. World Philosophy Day. 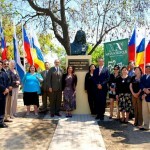 Unveiling in Bustamante Park in Santiago de Chile of a Giordano Bruno statue offered by NA; attended by the mayor and local authorities. Peru. The Power and Magic of Philosophy. 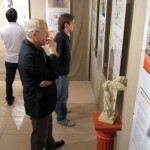 Exhibit at NA Lima for World Philosophy Day. Peru. The Power and Magic of Philosophy. 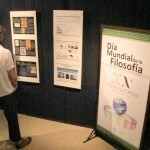 Exhibit at NA Lima for World Philosophy Day. 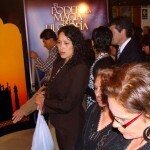 Opening ceremony with Mrs. María Isabel Millán, Secretary of the Peruvian National Commission for Cooperation with UNESCO. Brazil South. 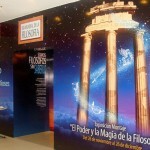 Philosophy Week. 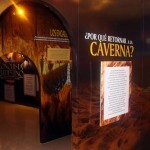 Talk at NA Chapecó (Brazil). Brazil South. 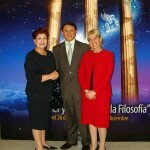 World Philosophy Week. 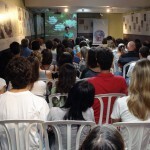 Lecture on the philosophy schools of India at NA Florianópolis (Brazil). Croatia. World Philosophy Day. 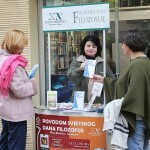 NA volunteers at an information stand in a square in Zagreb. Hungary. The Role of Philosophy. 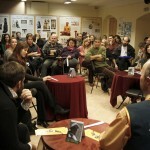 Talk organized at NA Budapest for World Philosophy Day. Russia. 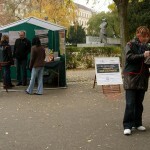 Distribution of the “Fortochka” university paper in Moscow universities for World Philosophy Day. Russia. World Philosophy Day. 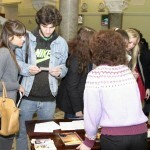 NA Moscow organizes philosophical contests at Moscow universities. Honduras. World Philosophy Day. 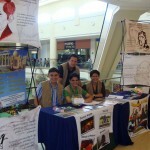 NA distributes philosophical quotes at an information booth in the main shopping centre in Tegucigalpa (Honduras).